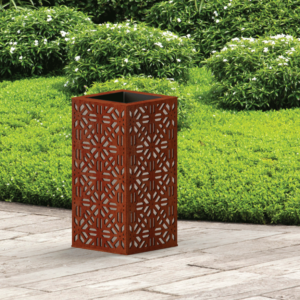 Make your log basket a stunning interior design feature, laser-cut with a design of your choice! This dramatic log storage will add an industrial edge to your living room. 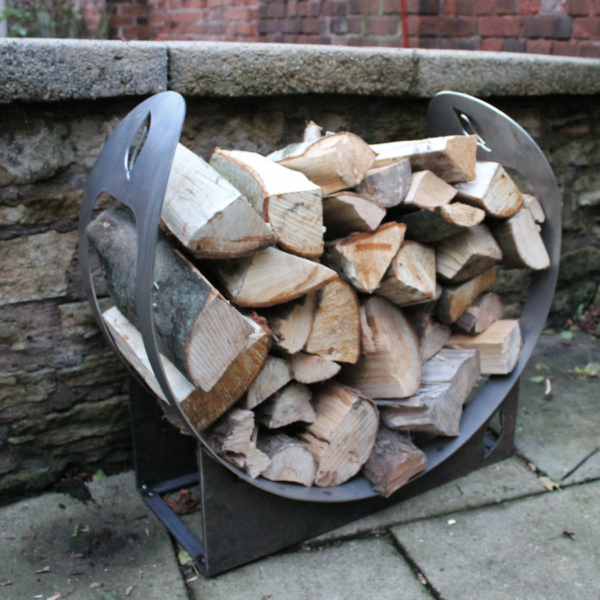 The basket can be kept indoors or outdoors and is designed to fit most standard firewood sizes. The open sides of this log basket make not only for a stunning design feature, but also means that the logs are well ventilated and so will continue to dry out when in the basket and therefore help them to burn, once in the fire. 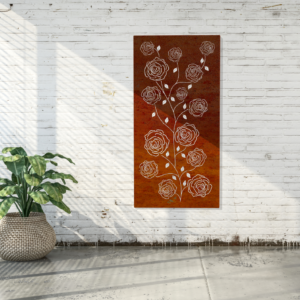 The front panel can be personalised with your family name or we can provide you with a totally unique design to suit your room. If you purchase this log basket through checkout, it will be assumed you would like the leaf detail, featured in the product images here, and unless we hear from you within 24 hours of order confirmation saying otherwise, this is what you will receive. This basket is 0.6m tall x 0.3m deep x 0.7 wide. Be sure to read our finishes guide to ensure you get the material and finish perfect for your space. Want a rusted look on your basket, indoors? 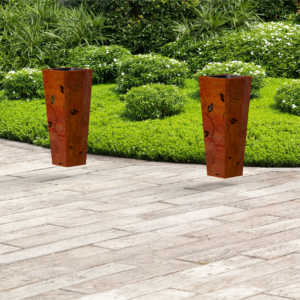 Choose Corten paint effect to give a similar look. 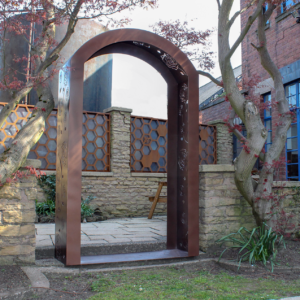 We do not recommend a Corten or Mild Steel finish for use indoors. Love my new log basket – stylish and modern but still fits in my country cottage house. 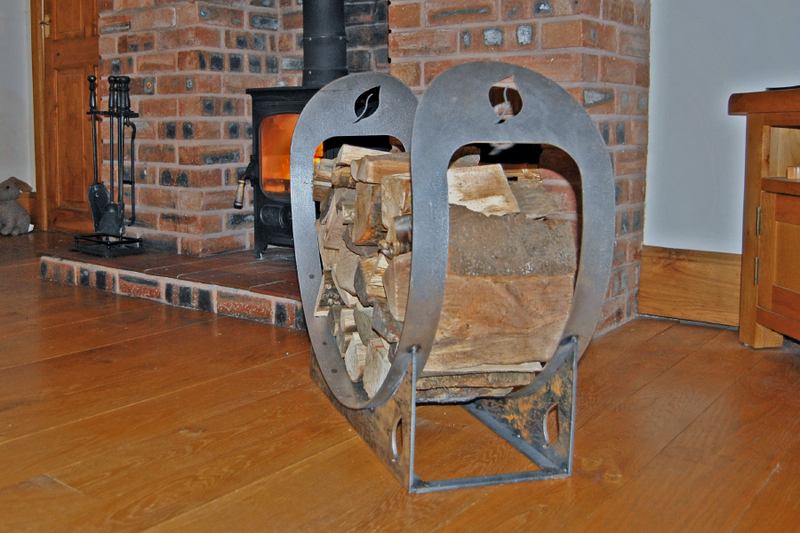 The design means the logs dry out, as the air circulates around them, resulting in a lovely roaring fire. It stores enough logs for a couple fires so I don’t have to venture out to fetch in logs all the time. Love it!